Defending champions Vidarbha completed a double as they defeated Saurashtra in the 2018-19 season of the Ranji Trophy. A 78-run win on the final day of the final meant that the Nagpur-based squad have become one of the very few sides to have achieved the feat of two consecutive Ranji Trophy victories. The 2018-19 season started in the month of November, with a number of new sides added to the competition. The new format for qualification increased the expectations around the tournament, and there were quite a few close matches. A lot of new talents emerged this year, while a few veterans showed that they still had the ability to make an impact in India's premier domestic competition. On that note, here is a list of the Best Performing XI from this year's Ranji Trophy. While a few of these players would have their eyes on an India cap, a few of them are already a part of the IPL franchises for the upcoming season. 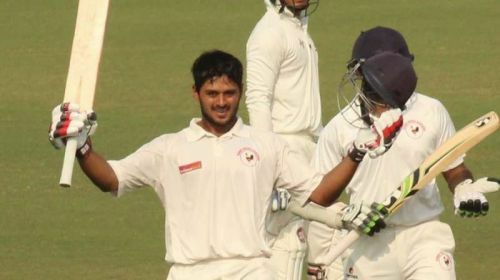 Priyank Panchal has been one of the top-scores in Ranji cricket for the last 3 seasons. The Gujarat player was yet again amongst the top-scorers this season; he managed a whopping 898-run tally in just 17 innings. Most of Panchal's innings came under pressure, and he could be wearing India colors soon if he can keep up his consistency. Abhimanyu Easwaran is now a constant in the India A squad. The Bengal player managed to impress again, even though he got only 6 matches to play. At an average of 95.67, Easwaran notched up 865 runs, which could put him on the national selector's radar for the upcoming tournaments. He could also be the first choice domestic injury replacement for the upcoming IPL season.